Widely used terminology refers to three levels of wastewater treatment: primary, secondary, and tertiary (or advanced). Primary (mechanical) treatment is designed to remove gross, suspended and floating solids from raw sewage. It includes screening to trap solid objects and sedimentation by gravity to remove suspended solids. This level is sometimes referred to as “mechanical treatment”, although chemicals are often used to accelerate the sedimentation process. Primary treatment can reduce the BOD of the incoming wastewater by 20-30% and the total suspended solids by some 50-60%. 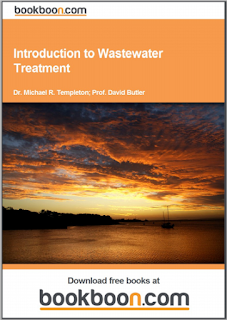 Primary treatment is usually the first stage of wastewater treatment. 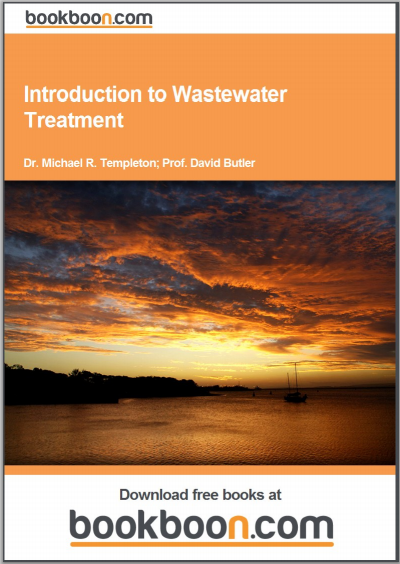 Many advanced wastewater treatment plants in industrialized countries have started with primary treatment, and have then added other treatment stages as wastewater load has grown, as the need for treatment has increased, and as resources have become available. Secondary (biological) treatment removes the dissolved organic matter that escapes primary treatment. This is achieved by microbes consuming the organic matter as food, and converting it to carbon dioxide, water, and energy for their own growth and reproduction. The biological process is then followed by additional settling tanks (“secondary sedimentation", see photo) to remove more of the suspended solids. About 85% of the suspended solids and BOD can be removed by a well running plant with secondary treatment. Secondary treatment technologies include the basic activated sludge process, the variants of pond and constructed wetland systems, trickling filters and other forms of treatment which use biological activity to break down organic matter. Tertiary treatment is simply additional treatment beyond secondary! Tertiary treatment can remove more than 99 percent of all the impurities from sewage, producing an effluent of almost drinking-water quality. The related technology can be very expensive, requiring a high level of technical know-how and well trained treatment plant operators, a steady energy supply, and chemicals and specific equipment which may not be readily available. An example of a typical tertiary treatment process is the modification of a conventional secondary treatment plant to remove additional phosphorus and nitrogen. Disinfection, typically with chlorine, can be the final step before discharge of the effluent. However, some environmental authorities are concerned that chlorine residuals in the effluent can be a problem in their own right, and have moved away from this process. Disinfection is frequently built into treatment plant design, but not effectively practiced, because of the high cost of chlorine, or the reduced effectiveness of ultraviolet radiation where the water is not sufficiently clear or free of particles. 0 Response to "Introduction to Wastewater Treatment"